Professor Ian Ronald Gough, Member (AM) in the General Division of the Order of Australia. APHA acknowledges the recipients of the Queen’s Birthday Honours 2015. Here are some of the recipients who were or are currently associated with private hospitals. Click here for the entire list. Professor Ian Ronald Gough: For significant service to medicine as a clinician, to education as an academic, researcher and author, and through medical advisory roles. Consultant Surgeon at Wesley Hospital since 1988. Professor Ian Andrew Harris. For significant service to medicine, particularly in the field of orthopaedics as a clinician, to education and research, and to professional bodies. Visiting Medical Officer, St George Private Hospital, Ramsay Health Care, since 1996. Dr Jennifer Ann Johns: For significant service to medicine, particularly cardiology, as a physician, researcher and mentor, and to the not-for-profit sector. Cardiologist, Epworth Hospital, since 1984. Conjoint Professor Florence Levy: For significant service to medical education through seminal contributions to child and adolescent psychology research. Senior Staff Paediatric Psychiatrist, Prince of Wales Hospital and Sydney Children’s Hospital, South Eastern Sydney Local Health District, since 1989; Employee, since 1973. Mrs Mary Therese Williams: For significant service to nursing as an advocate and spokesperson for post-natal depression, and as a mental health administrator and clinician. Clinical Unit Manager, Brisbane Centre for Postnatal Disorders, Belmont Private Hospital, since 1991. Associate Professor John Richard Mackay: For significant service to medicine in the field of colorectal surgery, to clinical governance, and to professional organisations. Medical Director, Epworth HealthCare, since 2003. Mr Rupert Hordern Myer: For distinguished service to the visual and performing arts, through governance roles with leading cultural institutions, as a supporter and benefactor, to the promotion of philanthropy, and to the community. Board Member, Healthscope Limited, current. 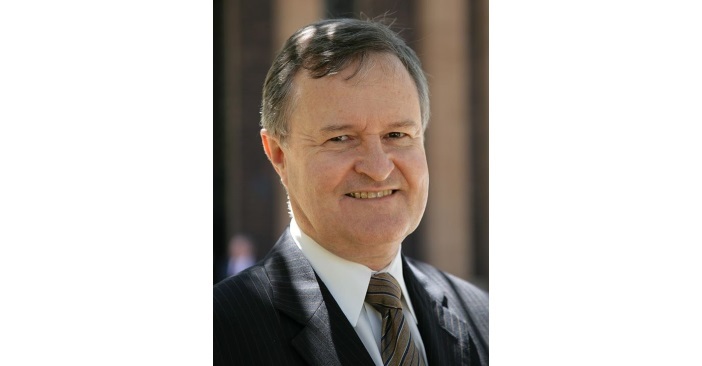 Mr David Russell Eiszele: For distinguished service to public administration in Western Australia, particularly to the electricity supply and natural gas sectors, to policy development and reform, and to eye-health research. Chairman, Lions Eye Institute, 2005-2014; Board Member, 2003-2014. Mrs Marjorie Yvonne Batchelor: For service to nursing, and to international outreach programs. Senior Theatre Nurse and Theatre Nursing Supervisor, Sydney Adventist Hospital, 20 years. Mrs Elise Jane Crofts: For service to the community of Coffs Harbour, and to youth. Nurse Unit Manager, Coffs Harbour Day Surgical Centre, approximately 25 years. Professor Niki Maree Ellis: For service to medical research, particularly to occupational and public health. Member, Health Research Ethics Committee, Epworth Healthcare, since 2014. Dr Philip Kingsley Godden: For service to medicine and to community health. Visiting Medical Officer, Berkeley Vale Private Hospital, 2000-2014. Mr Alan Preston Hunter: For service to veterans and their families. Chairman, Veterans Welfare Committee, Lingard Private Hospital, many years. Mr Ross William Lanyon: For service to thoroughbred horseracing, and to the community of Mildura. Member, Advisory Board, Mildura Private Hospital, for seven years. Mr John Raymond Sanburg: For service to community health through international humanitarian programs. Sydney Adventist Hospital: Team Leader and Coordinator, Nepal Healthcare Outreach Team, Open Heart International, 2005-2014. Charge nurse, Nepal Cleft Surgery Volunteer Team, 1994-2003. Nursing Unit Manager, Sydney Adventist Hospital, 1987-2001 and Project Manager, since 2001. Won the Australian Private Hospital Association’s Award of Excellence in 1996.